We are a nation of TV addicts. Screen-based entertainments absorb an extraordinary percentage of our waking hours, cut into our rest and recovery time, and can negatively influence our attitudes and perceptions even when we’re not watching. Here we explore the real costs of excessive television use on our bodies, minds, relationships, and more. We also consider some more rewarding alternatives. 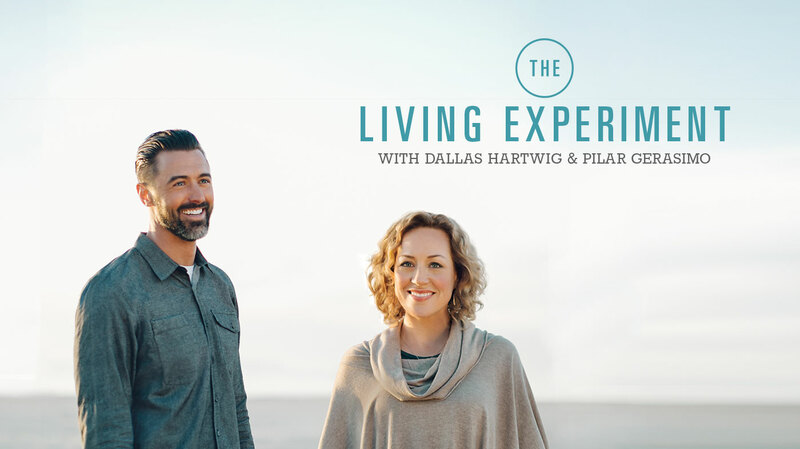 This week on The Living Experiment, we’re talking about Television — the often too-dominant role it has in our lives, and the opportunities we have to right-size its presence in our reality. We take a look at just how much time Americans are spending watching TV, and why that might be. We also look at the high cost of all that screen time, and we explore some more rewarding alternatives. Finally, we offer you some experiments to help you evaluate your own relationship with television, and how you might like to see it evolve. Kill your TV for 30 days — no movies, no shows, no news programs — and consider unplugging or covering all the devices that connect you to your TV. Notice what else changes in your life, and how you feel if you decide to turn the TV back on at the end of the month. 1) Sit down to watch TV like you normally do, but set a timer to alert you at some point mid-program. When the timer goes off, freeze. Keep your face and body exactly as they were, and take a selfie in the exact physical and psychological state you were in while watching. Notice what you look like when you’re being passively “entertained” in this way, and ask yourself if that’s how you want to be. 2) Make a list of a dozen things you would enjoy doing as an alternative to watching television — things that make your life more beautiful and enhance your pleasure in being alive. If you run out of ideas, walk through your front door and look around with fresh eyes at what projects or activities might be awaiting your attention. Television watching statistics from Statistic Brain. Our “News” episode, on finding a balance between being informed and bombarded by negativity. For more info and tips on taking recuperative breaks, listen to our “Pause” episode. The American Academy of Pediatrics recommendations for media use by children. Dallas’s More Social Less Media initiative (re-launching soon! ), and his Kill Your TV program. Pilar’s “Media-Diet Makeover” article, via Experience Life magazine. Sign up for The Living Experiment newsletter so you can stay up to date with us, get free gifts, and receive notifications when new episodes are released.